When David Got Dengue: A Mother and Son, Far From Home, Contend With a Deadly Illness | Use Your Words | Kids VT - small people, big ideas! 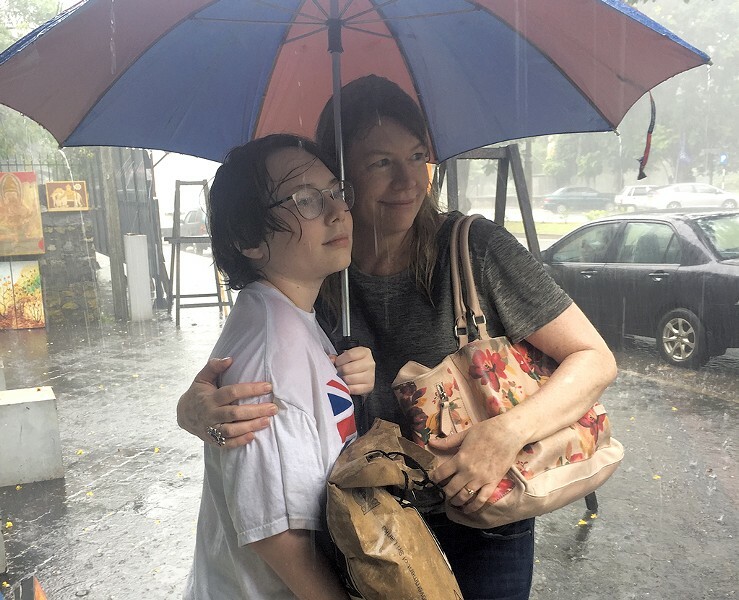 In June 2018, days after my son David finished 8th grade in the United Arab Emirates, we flew to rainy Sri Lanka for a break from our parched existence in the Arabian desert. I was working as chief of staff for Ajman University, my second stint in the country's higher education system. Both David and I were worn out from our hectic schedules and needed a refreshing break. Just prior to our departure for Sri Lanka, a short four-hour flight away, I scanned the internet for any particular "treats" or "threats" offered by our destination. In the treats category, I discovered that Duran Duran's video, "Save a Prayer," was filmed on Galle Beach in the southern part of the country. As for threats, I was delighted to read that malaria had been eradicated on the island nation in 2016. We wouldn't need anti-malarial medicine or heavy-duty mosquito repellant, as we had on a prior trip to Kenya. David and I wound up spending a whole afternoon on Galle Beach learning about the fishermen — likely descendants of the ones in Duran Duran's video — who sit on stilts in the Indian Ocean to catch fish. These days, though, they're simply posing for tips from tourists, since the area's fishing industry has largely dried up. So much in Sri Lanka evaporated during a civil war that ravaged the country and its people from 1983 to 2009. Signs of near collapse were evident everywhere we went, including our guesthouse in the capital city of Colombo. Thanks to a few unhinged windows, David and I had unobstructed views and could hear the sound of falling rain every afternoon. A few pesky mosquitos came with the waterlogged territory. A week later, back in the well-sealed, air-conditioned apartment that sheltered us from the UAE's oppressive heat, David's own temperature suddenly soared to a record high. "Just a common desert virus," said the doctor at a walk-in clinic for expats. "Treat intermittently with Tylenol and ibuprofen," she said, treating us like a run-of-the-mill case, even though I mentioned repeatedly that we'd been in Sri Lanka. Her diagnosis lost all credibility when David woke up in the middle of the night drenched in sweat and screaming, "Mommy, my head hit the swimming pool wall! Help me!" He was delirious from fever and a crushing pain in his forehead. By morning, David could barely walk to the bathroom — his gait hobbled and posture askew. I tried to position him comfortably on the couch to watch television and drink as many liquids as I could get into him. Yet he refused the water and stared into space. "I can't," he said. "It hurts too much to move my eyes. I feel like there's water leaking inside my forehead." By then, I was certain David's illness wasn't a run-of-the-mill virus. Something more sinister was at work. I feared the UAE's cadre of doctors wouldn't recognize what was starting to look like a full-blown tropical disease. Making matters worse was the fact that my husband, Allan, was in the United States, where David and I were supposed to be headed for summer vacation in a week's time. Until then, we were stuck in a health crisis on the other side of the world. A quick scan of the World Health Organization (WHO) website seemed to confirm my worst fears. David likely had dengue fever, also known as "breakbone fever," a mosquito-borne malady infecting upwards of 200 million people each year — killing thousands, mainly children. I knew about the disease from our time in Singapore in 2010. After a series of frantic phone calls, I learned of a nearby doctor from India with expertise in tropical medicine. I rushed David to a clinic for immigrant laborers in the northernmost emirate of Ras Al Khaimah. The recommended physician, who insisted we call him Dr. Joe, began his exam with a question: "Have you been traveling?" Before I could answer, "Sri Lanka," he'd felt every inch of David's febrile body and touched his telltale rash. "Dengue," he said, and immediately started David on an IV drip to replenish his fluids. "Rainy season in the tropics leads to epidemics." While David slept, Dr. Joe told me that the sickness was suppressing David's bone marrow production and reducing his platelet count. That watery feeling in his head was, in fact, plasma leaking into surrounding tissue. He'd either make a full recovery in a few days, as most patients do with plenty of rest and fluids, or else he'd need a blood transfusion to survive. Once his fever subsided, I'd have to watch closely for any signs of hemorrhaging, which occurs in the most severe, life-threatening form of dengue. The next few days passed in a slow-motion blur. David slept, thrashing with delirium; I stayed awake, watching with terror. 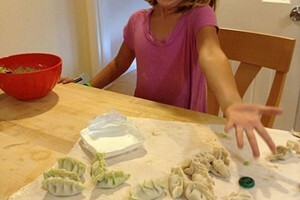 I had plenty of time to lament my traveling decisions and parenting skills. I'd dropped the ball on both accounts, and now my son was paying the price. When David's fever finally abated, I started obsessively checking his gums and bowel movements for any sign of blood. We visited Dr. Joe again when David showed signs of marked improvement. Although he'd lost 10 pounds in five days, a blood test revealed that his platelet count was on the rise. He was entering the recovery phase. "Can we fly back to the United States tomorrow?" I asked. "No one can stop you," Dr. Joe said. "But if there's a mosquito on that plane and it bites David, then someone else could get dengue." Through a veil of tears, and at great expense, I changed our flights. I wanted to be home more than anything in the world, but I couldn't bear the thought of putting others at risk for dengue — a disease on the WHO's list of Top 10 global health threats. There is no vaccine or treatment for dengue. There is only time, and sometimes it runs out. Time brought us back to Vermont in early July — just 10 days after our originally scheduled return. Seven months later, a very happy and healthy David barely remembers his dark days of dengue. I only wish I could forget them, too. Instead, his life-threatening illness had a profound effect on the way I live. I ended up resigning from my job in the UAE and we're back in the Green Mountain State. The only trips I'm interested in, for now, are to David's basketball games. Whether his team is winning or not, I'm constantly thinking about the brave boy on the court who could have been lost.